Career criminal Longview Moody, on the run from killers, assumes his dead, twin brother’s identity as the new Chief of Police of a Texas town that’s being terrorized by a Mexican drug cartel. To pull off the deadly deception, Longview desperately works to become the kind of cop and man that his brother was. But when the two lives he’s living converge, he’s forced to embrace the violence within him to get justice…and vengeance. -Margaret Mizushima, award-winning author of HUNTING HOUR. 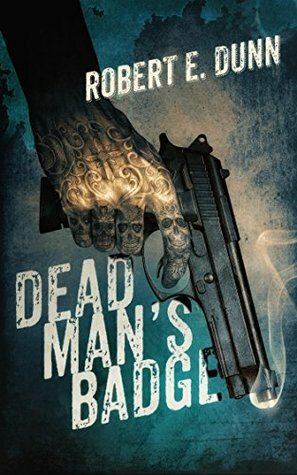 “DEAD MAN’S BADGE is crazy good, a great story, non-stop action, and a brilliantly-crafted hero. 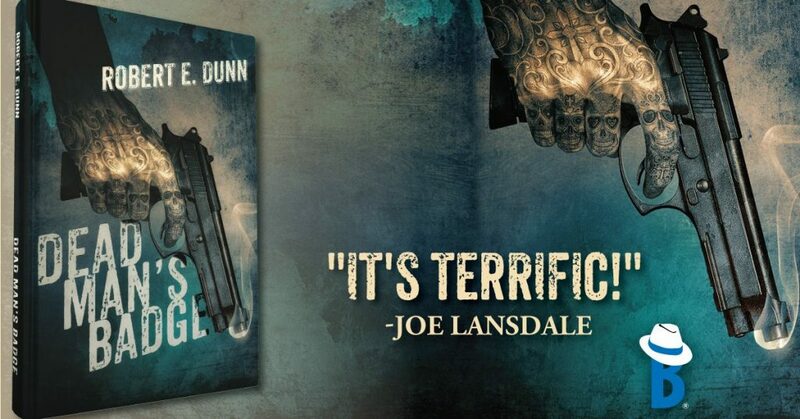 Dunn hit it out of the park with this one”. The tale starts right in the middle of something,..with a guy in the desert, digging his own grave and a few guns pointing and waving threats and name calling in Spanish. It’s from then on a Juarvez and wild west Texas kind of thing, with Cartel, drug running, cash drops, Mexico, Texas Ranger, Cowboys, DEA, La Familia de los Muerto, series of choices good or bad, money missing, people dead, corruption and money turning people heads. You have a thriller with violence and things that bad men do, caution read no further if that is not what you had in store. Things turn down the wrong road, with a brother dead, and a new identity to uphold, things get mucho locos. There are some neat sentences, wise and potent in this tale. The tale settles a bit in parts then picks up with a whole mass of conspiratorial manoeuvrings and staying alive into a nice treat of a hardboiled tale. “My count had been perfect. My trail had been clean. Everything should have been fine. Still, someone had been pissed off. Robert E. Dunn was born an Army brat and grew up in the Missouri Ozarks. He wrote his first book at age eleven turning a series of Jack Kirby comic books into a hand written novel. Over many years in the, mostly, honest work of video and film production he produced everything from documentaries, to training films and his favorite, travelogues. He returned to writing mystery, horror, and fantasy fiction for publication after the turn of the century. It seemed like a good time for change even if the changes were not always his choice. 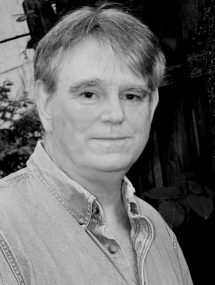 In addition to DEAD MAN’S BADGE, Mr. Dunn is the author of the horror novels, THE RED HIGHWAY, MOTORMAN, and THE HARROWING, as well as the Katrina Williams mystery/thriller series, A LIVING GRAVE, A PARTICULAR DARKNESS, and the upcoming A MOMENTARY LIFE.